On Thursday Sept. 6th; Amicable Lodge will host a delegation of over 40 Free Masons visiting from Colombia, including their Grand Master. The Most Worshipful Grand Master of Massachusetts, M.W. Paul Fulton Gleason will also be in attendance, and accompanied by a suite of distinguished Grand Lodge Officers. I am extending an open invitation to all Masons, but seating will be limited. This will sell out very soon. Please feel free to pass this on, but be sure to make your reservation as soon as possible. The work of the evening will be a First Degree for one candidate. There will be a social reception following the degree with passed appetizers. The ticket also includes an elegant 3 course meal, unlimited beverages throughout the evening, and an afterglow collation following dinner. Again, this event is on Thursday Sept. 6th, at 6:00pm, at the Cambridge Masonic Temple, 1950 Massachusetts Avenue in Cambridge. Parking is available at the Henderson Carriage Building, located two blocks from the Temple. Dress Code is the usual Masonic custom of jacket and tie. Masons only please, and paid reservations are absolutely required. Thank you brethren. May the Supreme Artificer of the Universe Bless you, and our Beloved Craft. 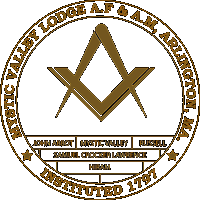 On April 10, 2018, Mystic Valley Lodge was pleased to receive the Grand Master of Masons on Massacnusets, MW Paul Fulton Gleason. MW Gleason was accompanied by a large suite of distinguished Masons, including parties from the Prince Hall Grand Lodge of Massachusetts and the Grande Loge du Québec.